Located at the foot of the Rocky Mountains with campuses in Lakewood and Arvada, we have the largest community college campus in Colorado. If you are considering attending Red Rocks Community College, a campus visit is a great way to find out if this is the place for you. Please select a campus to schedule a tour with one of our Student Ambassadors or welcoming staff. PLEASE NOTE: Health Science Programs are ONLY available on the Arvada Campus, including: Holistic Health, CNA and Integrated Nursing Pathway, Medical Office Technology, Medical Assisting, Radiology and Sonography, and Physician Assistant programs. 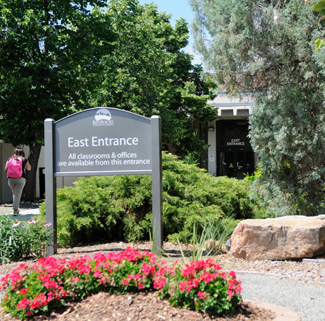 The Health Science programs are housed on the Arvada Campus. * If you wish to visit a specific program, please contact the department directly to schedule an appointment 24 hours in advance. For information on our programs or to find contact information visit the Academic Programs page.